Holiday Gift Certificates can be purchased on our web site. Looking for that perfect holiday gift for someone special? Give the gift that lasts a lifetime. 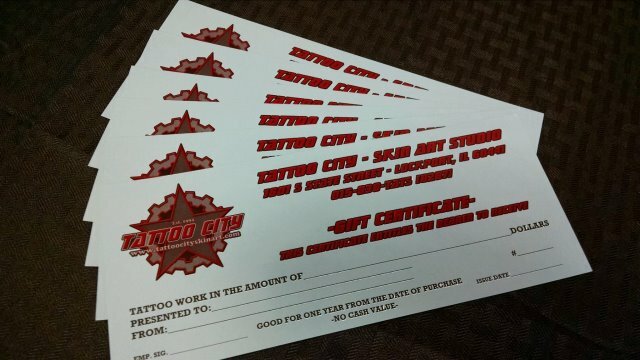 Tattoo City Gift Certificates can be purchased in house at the front desk or directly through our web site by clicking here. We also carry some other great gift ideas and stocking stuffers like T-shirts, Hats, Art Prints and coffee mugs. 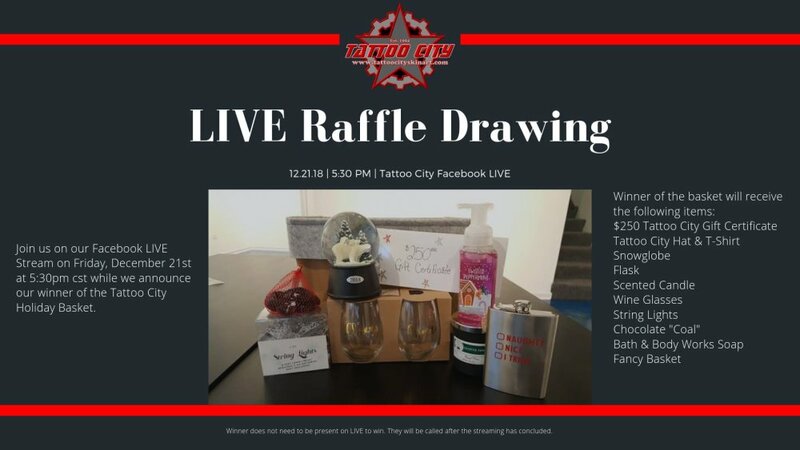 Enter our Holiday raffle for a chance to win a $250 Tattoo City gift certificate and a basket of other goodies. Join us Friday December 21st at 5:30pm for our Facebook LIVE drawing. Raffle tickets will be on sale in the studio every day from 12pm-8pm. 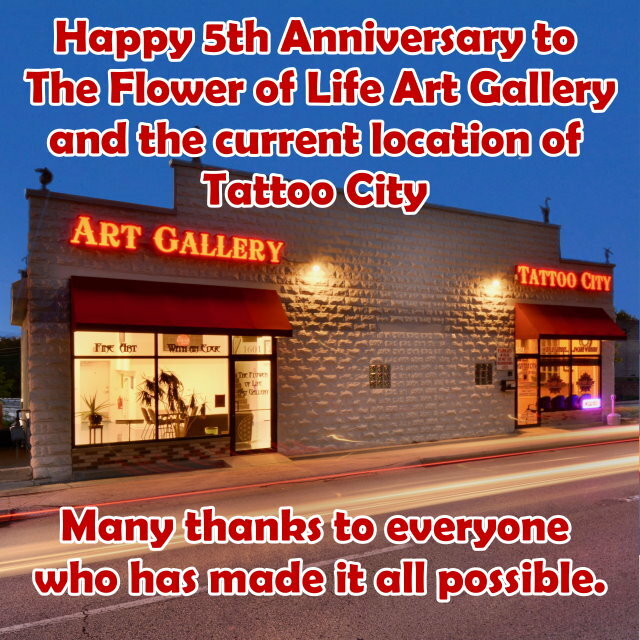 Tattoo City would like to thank Jonathan Norman for being a great part of our team. One year wasn't enough but Jon does plan to come back for guest spots in the future so look out for return dates here as well as our newsletter and Facebook page. We will miss you Jonathan and we wish you all the best. 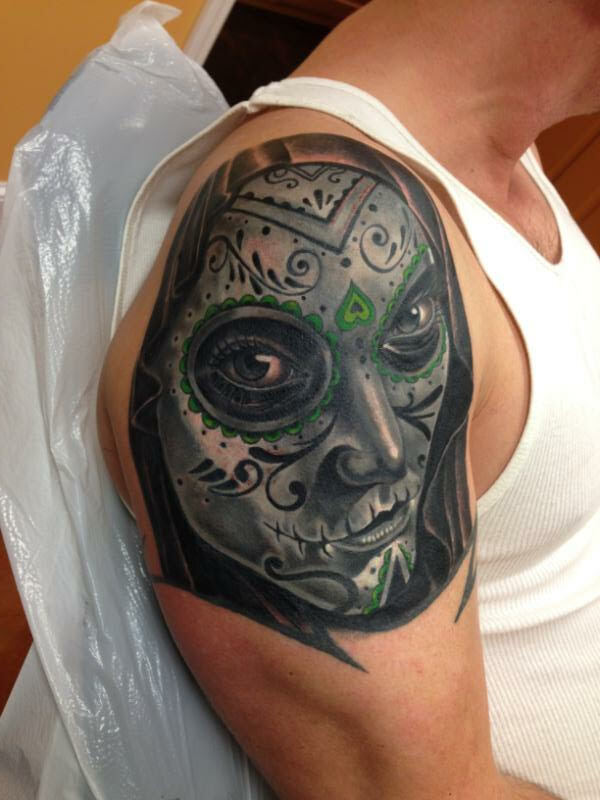 Tattoo City welcome new artist Julian Hernandez to our crew. 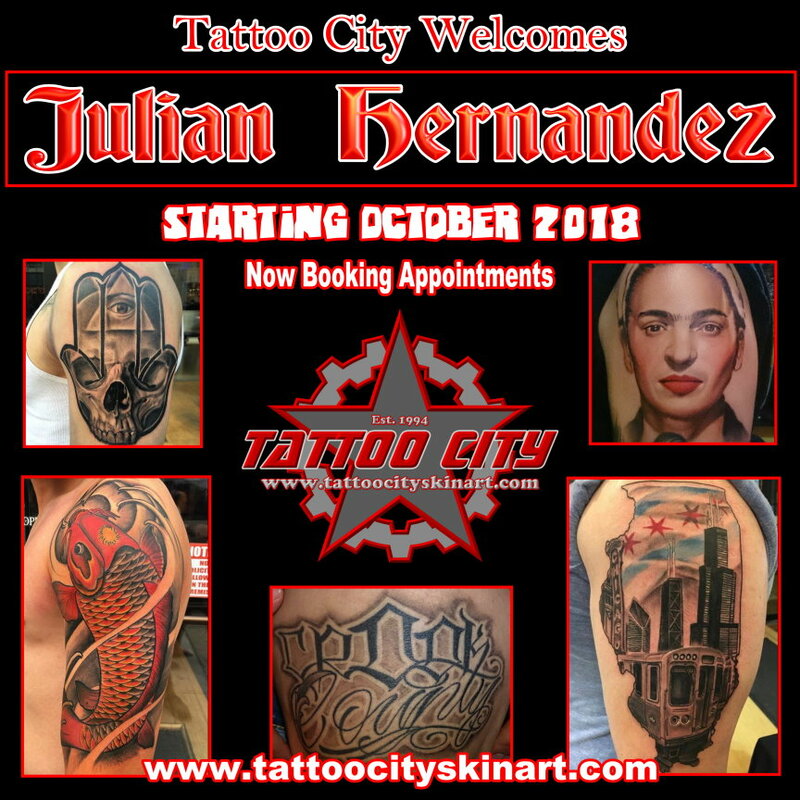 Tattoo City welcomes artist Julian Hernandez to our line up of great artists. 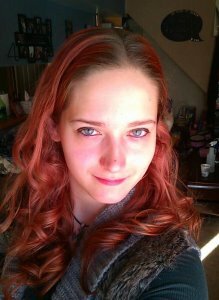 He brings ten years of experience working in the Chicago area alongside some truly great artists. 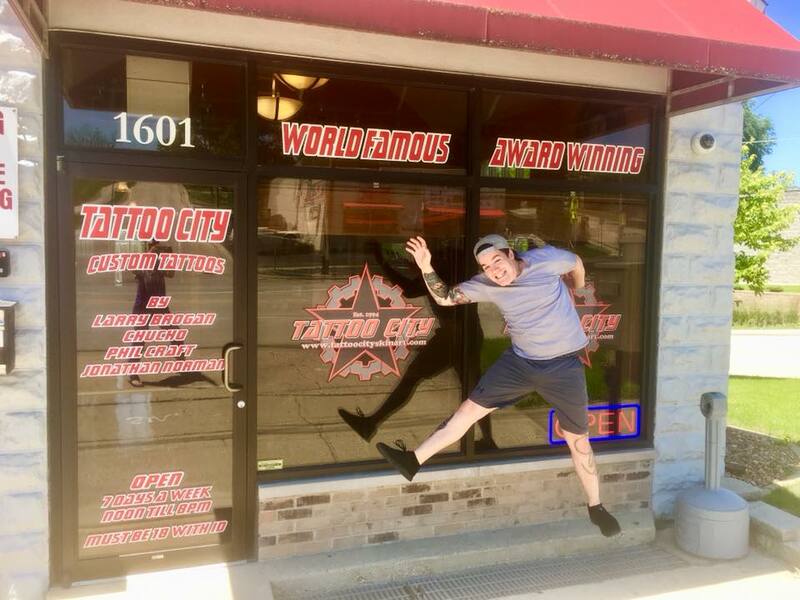 Stop in and meet him and schedule a new tattoo.